When it comes to finding the best Indian restaurant in between Aldgate and Liverpool street underground Station, London, UK, Mumbai Square tops the list. There is no denying the fact that there are a number of restaurants in Aldgate, Bricklane, Liverpool street and whitechapel, and most of them offer good food, but if you want to feel the heritage of India through its food, you must visit Mumbai Square. We take pride in our quality, exceptional customer service and cost-effectiveness.  Mumbai Square is a family owned business that was established a few years ago with a simple aim to serve people the most authentic Indian dishes in a stylish setting. The staff, at our restaurant, creates the perfect environment so that you can enjoy the perfect dine-in experience. Our award-winning chefs prepare and serve the delicious Indian delicacies that are made with exotic spices and flavors, and reflect the Indian heritage through them. In between Aldgate Liverpool street station, the journey of Mumbai Square was started a few years ago. Abdul Alim, the head chef and the owner of the business, started the business with a simple aim to satisfy the taste buds of the foodie and hungry at the most competitive prices. Once the journey started, he never has to look back. The food quality and the competitive price make the restaurant one of the most popular Indian restaurant in Aldgate. He believes in the proverb the way to the heart is through the stomach. And, he knows how to win the hearts with the tastiest Indian delicacies. Our mission is to offer the superior dining experience to our guest with the best quality Indian cuisine. The staff, at Mumbai Square, strives hard to please your taste buds and exceed your expectations. Our main motto is to be the exceptional Indian restaurant in Aldgate that offer the healthiest Indian food in the tastiest way at the most competitive prices. We have the vision to be the best Indian restaurant and represent the heritage of India overseas through the authentic Indian cuisine. And, our staff knows how to transform our dream into reality through honesty, efficiency and professionalism. So, if food is your first love, don’t forget to visit our restaurant and taste some amazing dishes. If you are a foodie and love to experiment with food, Mumbai Square can be the perfect destination for you. We are the leading Indian Restaurant in Spitalfields Market that offers the tastiest Indian dishes at the most competitive prices. Since we care about your health, we offer the tastiest food that is prepared in the healthiest way. The chefs, at Mumbai Square, prepare every dish keeping the reputation of the restaurant in mind. We believe, earning reputation is not difficult but maintaining the reputation is. This is the reason, all our staff always strives hard to maintain the reputation that we have earned. This is true that there are a number of restaurants in Spitalfields Market that offers delicious Non-Veg dishes. But, finding the proper vegetarian food can be difficult. At Mumbai Square, we think from the vegetarians’ perspective and prepare Veg food. Some of our vegetarian dishes include sag bhaji, mushroom bhaji, cauliflower bhaji, vegetable bhaji, brinjalbhaji, vegetable curry, chana masala and many more. So, if you are a vegetarian and finding a restaurant that prepares the vegetarian food in the proper way, you can rely on Mumbai Square. Love Non-Veg? Mouth-watering food is here! If you love Non-Veg, you would love Mumbai Square. We use the freshest and the best quality meat and other ingredients to cook the tastiest food. With every bite, you can feel the freshness. Some of our must-try Non-Veg items are – Chicken tikka blast, Lamb chop blast, Shahi sizzling chicken, Tandoori king prawn blast, Lamb or chicken tikka sizzling korai, duck tikka sizzling korai etc. At Mumbai Square, we offer the traditional Indian dishes to maintain the tradition of India abroad. Some of our traditional dishes include Madras dishes, curry, bhuna dishes, Phal dishes, Methi dishes, rogon josh dishes, korma dishes, jalfraizi dishes, dhansak dishes, and patia dishes. So, what are you waiting for? Book your seat today to experience the tastiest food in your budget. Mumbai Square has to offer you the most delicious beef curry in an authentic way. Because of offering the tastiest beef curry, we have become the most popular beef curry house London. We are popularly known for offering the tastiest Non-Veg items. Our mission is to offer you hygienic food at the most competitive prices. We know the importance of maintaining the hygiene of the food. There are a number of reasons why you should try our lamb or chicken Dishes. We cook food with ultimate care so that you can enjoy the finger-licking taste at every dish. Our chefs pay extra attention while they prepare curry since curry belongs to one of the traditional Indian dishes. And when it comes to lamb or chicken curry, they use the exotic spices to make it tastier. We always make sure that the lamb or chicken we use for preparing the curry is freshly cut. When you order lamb or chicken curry at Mumbai Square, you can be assured that you will be served the tastiest curry. When you enter our restaurant, you can smell the pleasant aroma of our cuisine. The authentic taste and the aroma of the lamb or chicken curry will definitely blow your mind. When you enter the restaurant, our staff welcomes you with a smile on their face. The environment of the restaurant would definitely mesmerize you. The palatability of the food really matters. We serve the tastiest lamb or chicken curry to satiate your hunger as well as to please your taste buds. All the chefs, at Mumbai Square, are the artists and they show their artistic creativity through their cooking. In order to explore the cuisine of India, we can visit us. If you love lamb or chicken, Mumbai Square can cater your taste buds in the most efficient way possible. Count on us today and experience the authentic taste of lamb or chicken curry.